Looking for value for money accommodation that boasts the standards of a four star hotel? 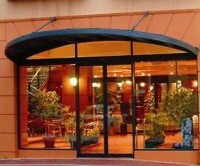 Visiting, on business or for pleasure, the brand new Acacia Hotel is the answer! The warmth and friendliness at our hotel will make you feel right at home. We take pride in exceeding your expectations by offering business class standards in accommodation and service at surprisingly affordable value. The fully licensed restaurant bistro guarantees great food, great wine and great service. The well-equipped function rooms cater for the full range of corporate and private meetings, seminars, workshops, dinners, weddings and cocktail parties that can be tailored to your specific needs. The Acacia Hotel puts you in close proximity to all the shopping area that Perth city has to offer. The major commercial, government and financial offices are just a short walk away. Fussy palates can enjoy a scrumptious meal at the hotel’s restaurant or you can venture out into Northbridge’s hundreds of restaurants and tantalise your taste buds. After a hearty meal, why not experience the nightlife within Northbridge and then enjoy a leisurely walk back to the hotel. You can find our hotel on Booking.Com and book room.